If "System data group" is selected under "Type", the application, which contains the required system data group, can be selected here. Enter the name of the variable that provides the value. For system data groups, the data field that provides the value can be selected. 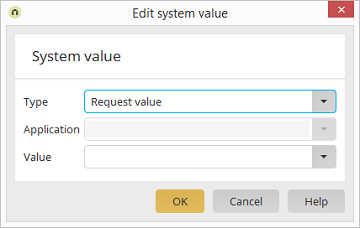 For the User value type, a data field from the User manager can be selected.